Hi everyone! I’m Julie from A Better Life With Burgers and I’m thrilled to be writing a guest post for Meg’s blog. When Meg asked if I’d be willing to share a recipe, I zeroed in on breakfast, because it really is as important as everyone hypes it up to be. A good breakfast keeps you full, wards off unhealthy cravings later, and jump starts your metabolism in the morning. I know that some folks I struggle with getting out the door on time, so adding a well-rounded breakfast to the morning chaos seems impossible. Luckily, a little bit of time over the weekend can yield a full week of breakfasts. 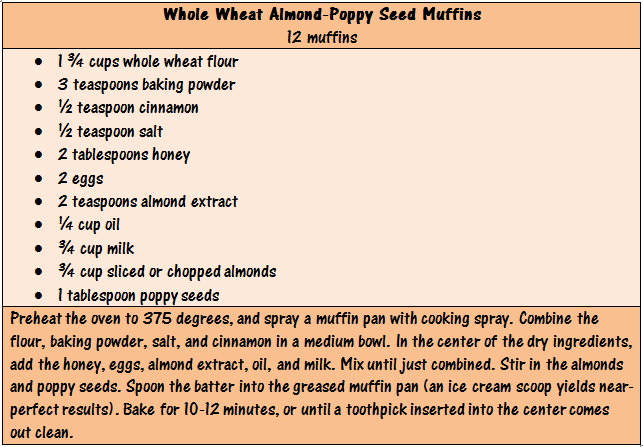 I thought I’d share this recipe for almond-poppy seed muffins, which give you whole grains, a bit of healthy protein, delicious flavor, and no sugar! 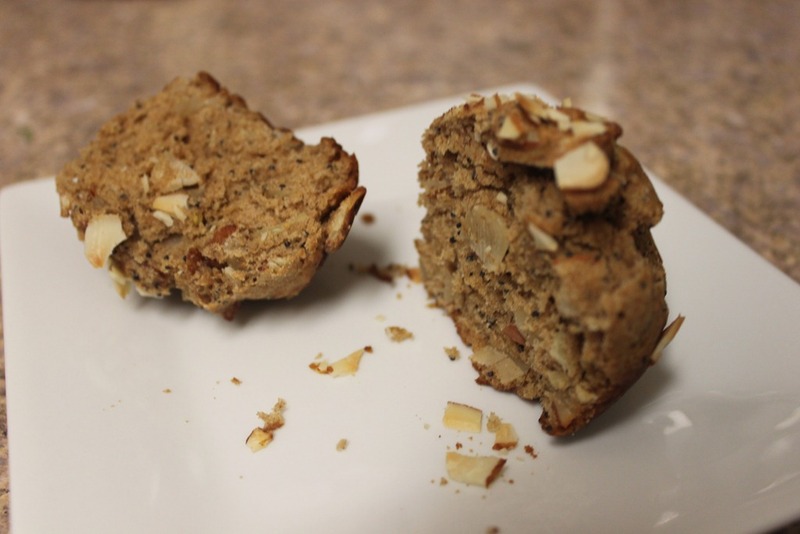 These muffins keep me full and start my morning with some much-needed nutrition. I enjoy a muffin along with some fruit and yogurt or milk for a balanced meal. To save time, I pack up a muffin and a container of berries the night before, then I grab and go in the morning. 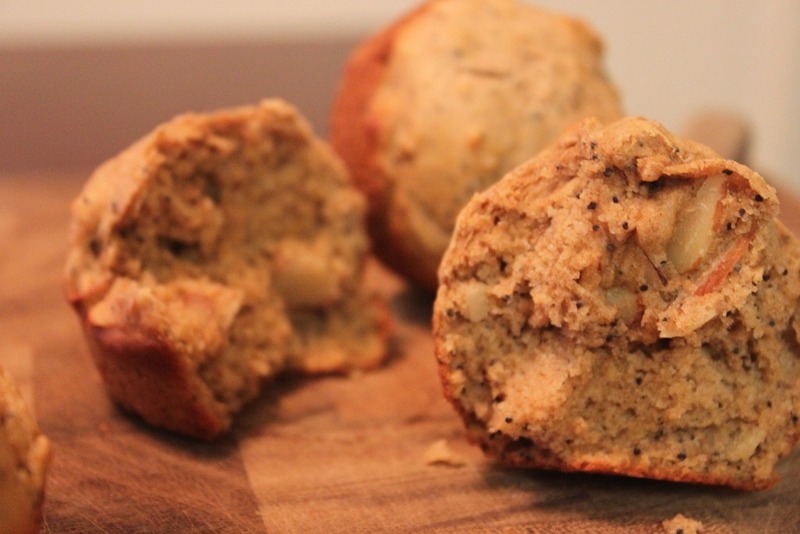 These muffins also freeze beautifully and work well for a snack on the go. My husband and I travel a lot and are always looking for snacks that we can carry with us on planes. As a teacher, I usually have to eat very quickly while I work, so a simple, hearty snack is best for keeping up with my hectic day. For more breakfast ideas, workouts, and lots of fun, be sure to visit my blog, A Better Life With Burgers! 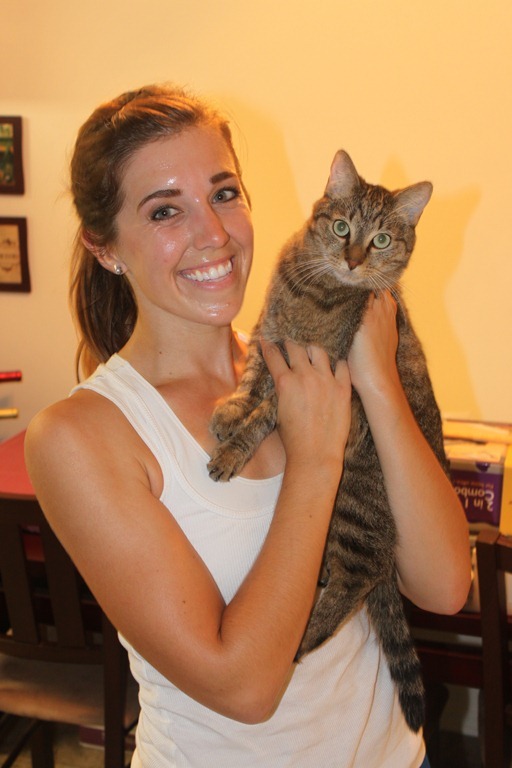 Special thanks to Meg for the opportunity to share on her amazing blog, and thanks for reading!